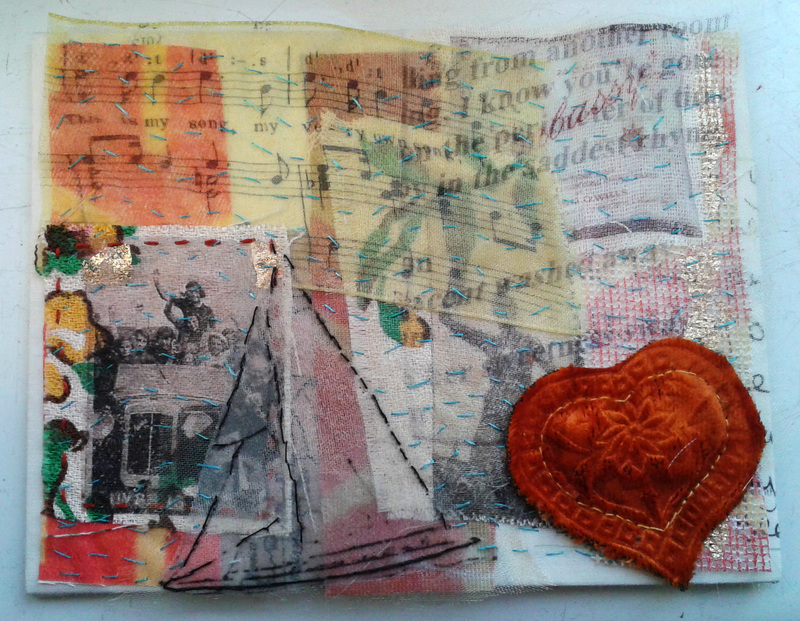 I had a wonderful time at the Warner Textile Archive on Friday with Alison Stockmarr making memory textile postcards. I learnt a few new techniques including how to apply gold leaf to image transfers, crush velvet with beautiful patterns and using heat transfer images onto gauzy materials. It was lovely to be working amongst other arty crafty folks too. Here’s the result- not bad! Craft classes should be back to normal this week- Applique, Tunisian Crochet and Crochet. I’ll also be getting ready for the Bishop’s Stortford Farmers and Crafts Market on Saturday (9am to 1.30pm).Pop in and say hello- it’s British Food Festival too- yummy!